Friends and comrades–Join us for our residency at the Dubliner Pub. We are also looking forward to Harmony Park adventures for Project Earth & Shangri~La. If you are interested in booking us for Spring/Summer events, please email booking@sistertreemusic.com and we’ll make arrangements! Much to look forward to, hope we see you out and about! Tell stories to your neighbors and strangers, listen to each other, create sacred space for those your life touches. Take root and reach out! 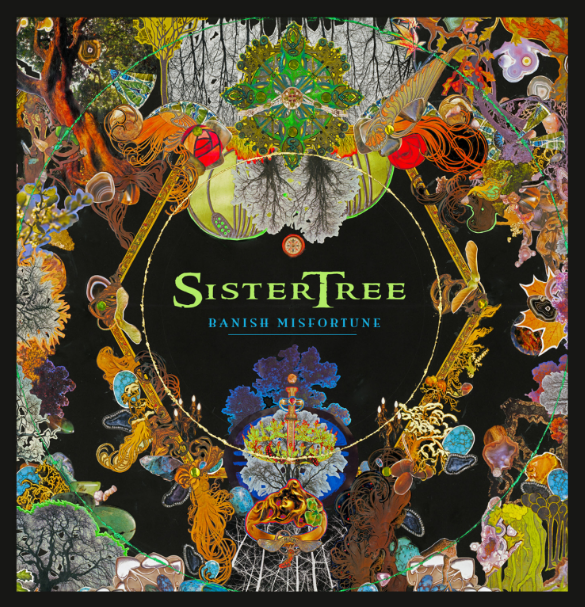 If you’ve not yet had a chance, visit sistertree.bandcamp.com to hear our debut/demo album, and come to a performance to pick up our newest album, Banish Misfortune! These are available hand to hand or by mail (ping us on FB or send us a note), and digital distribution is available via email. Hope to catch up with you soon! 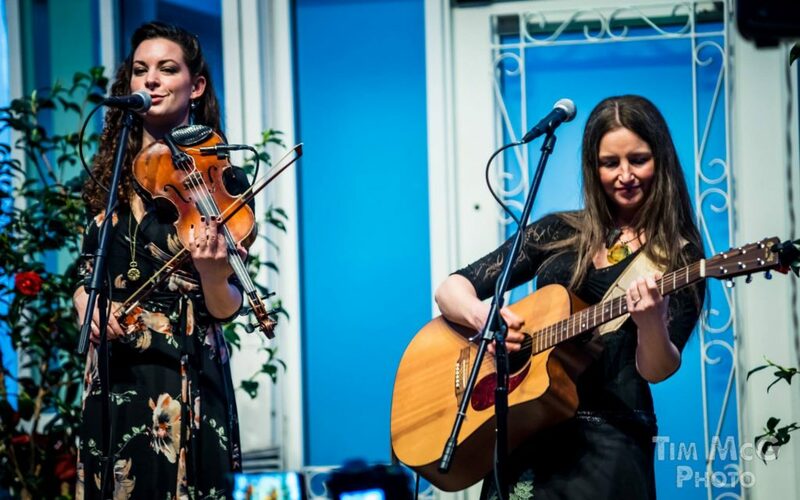 SisterTree renders radiant, expansive harmonies for strings and voices, and kick it back with old favorites and downright far-fetched selections grounded in Celtic and Americana Traditions. Roving over the wild and storied landscapes of life, they envibe with the rhythms of sugarplums dropped in the forest. 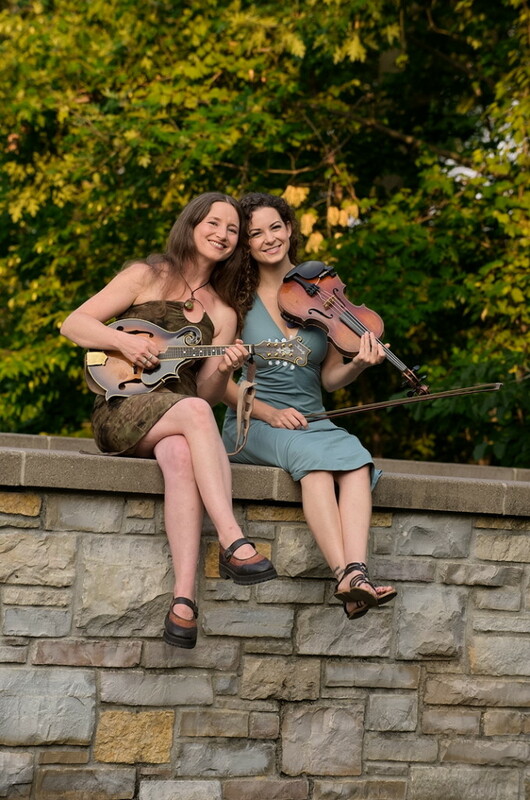 From lilt to throttle, they are Gaia’s sirens atop the scrape of a mountain ridge, awash in an avalanche of symbiotic energies hauled up from the bones of earth to the starlight. You were fabulous last night at Honor the Earth! Thank you for your heartfelt and well-executed songs. Do you have a mailing list so I won’t miss a gig in my area? Listening to you right now on the river boat – you’re fabulous!! This is Tom from the Burned Down Cafe’ telling you that you & your music are wonderful. Please autograph 2 more for us here at the Burned Down Cafe’ and let me know how you would like me to pay for them. Is there just the one CD? If there are two CDs please autograph 2 of the second CD and put them onto the bill as well. Tom! Just saw this. There is only the one CD, and I’ll a couple more to Box 222. Probably the easiest way to pay for them would be to tip us out on sistertree.bandcamp.com. We’d be honored to come up and play again next season! What a blast–my kids loved every second on the island, as did we! Will you be at the 13 Gears this year in MN? 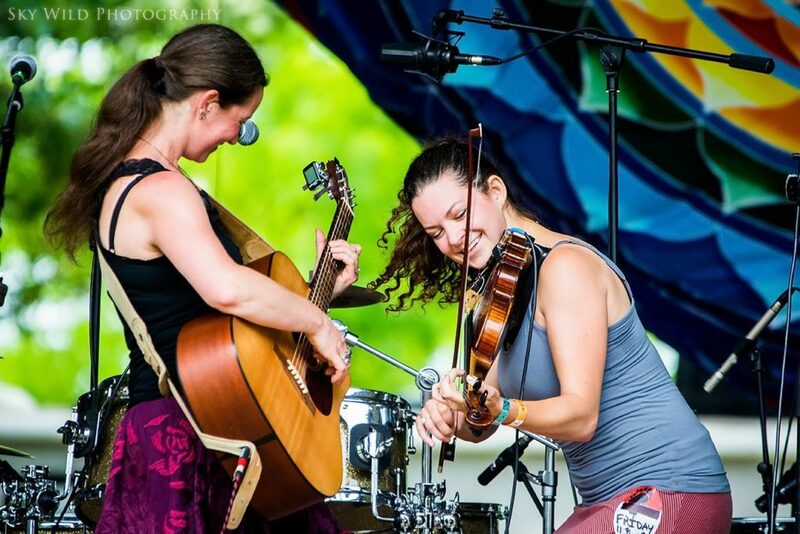 such beautiful voices & harmonies, amazing pregger guitar, oh, & barefoot fiddling is a slice of heaven! IrishFest was blessed by you! Thanks. Looking forward to seeing you open for the High Kings September 15th at the Cedar Cultural Center! Enjoyed the show last night at The Cedar Cultural Center. What talent! A great warm up for The High Kings. Dee and Kerri, you were amazing last night. The people who attended our “Honoring the Ancestors” event just loved you and your music. We hope to have you back and support your wild work! Please sell me Wild Mountain Time. I was able to attend your performance at the Honor the Earth concert in Bemidji last week. Impressive! Listening to your CD now via Bandcamp, doubly impressed! Most of your respondents praise your harmonies. Rightly so. Yet your musicianship is as admirable. And as an academic folklorist and 50 year fan of roots music, I amply respect your truth to the tradition. I know many renderings of The Cruel Sister, for example, and yours is the equal of any of them. spending a week in Grand Marais was awesome enough, hearing you at the Gunflint Tavern was the icing on the cake! I fell in love with you at the Shangri La, fireside sing along and totally enjoyed SisterTree’s joyful energy on the stage.